If you need help understanding the property licensing rules in Redbridge you have come to the right place! We are experts in housing regulation and have produced this free guide to help you understand the council’s property licensing schemes. To help set the scene, the London Borough of Redbridge is in North East London covering an area of 22 square miles. It is bordered by the boroughs of Waltham Forest to the west, Newham to the south, Havering and Barking & Dagenham to the east and with Essex to the north. According to the 2011 Census, about 23% of the housing stock was privately rented which is slightly below the London average of 25% (1 in 4). There are now four licensing schemes operating in Redbridge and so it is important you study the details carefully. We will try to explain. On 13 April 2017 Redbridge Council introduced a borough-wide additional licensing scheme. A selective licensing scheme that covers part of the borough started on 13 July 2017 and a second selective licensing scheme started on 1 October 2018. There is also the mandatory HMO licensing scheme that applies throughout England. The additional licensing scheme came into force on 13 April 2017 and continues for five years until 12 April 2022. You will need an additional licence if your property is let as a House in Multiple Occupation that does not fall within the remit of the mandatory HMO licensing scheme. So licensing applies to all HMOs in Redbridge. This includes all house and flat-shares occupied by three or more people who are not all related, even if they are on a single tenancy. The first selective licensing scheme came into force on 13 July 2017 and continues for five years until 12 July 2022. You will need a selective licence if your property (house or flat) is let out to a single person, couple or single household and is in the council wards of Clementswood or Valentines. 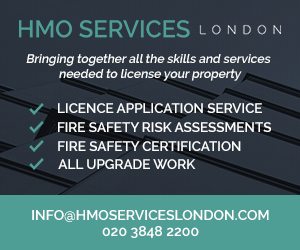 Any HMOs in that area will need licensing under the mandatory HMO or additional licensing schemes. The second selective licensing scheme came into force on 1 October 2018 and continues for five years until 30 September 2023. This second scheme applies if your property (house or flat) is let out to a single person, couple or single household and is within an area broadly defined by the council wards of Goodmayes, Loxford, Snaresbrook, Roding, Newbury, Mayfield, Cranbrook, Seven Kings, Chadwell, Fairlop, Aldborough and Church End. Any HMOs in that area will need licensing under the mandatory HMO or additional licensing schemes. Unfortunately, there is a further complication in that the scheme was based on the ward boundaries that existed at the time the decision was made to implement the scheme. Some of the ward boundaries are now different! To be sure if your property is within the selective licensing area, you need to use the interactive map on the council’s website and search for your address. Different fees apply depending on the type of licence you are applying for. Redbridge Council HMO licence fees vary according to the number of households (not people) living in the property. The standard fee is £1,494 (was £800 in 2017/18, £670 in 2016/17) for a three storey shared house with five single person lettings. Costs vary if there are more or less than five households living there. Unfortunately, we understand the 10% discount for accredited landlords and the lower fees for licence renewals ended on 1 January 2019, which is a shame and will drive costs even higher. The standard fee for additional licences was previously £500, whereas the new rate from 1 January 2019 is between £1,198 to £1,864 depending on the number of households. That’s a huge increase! The standard fee is £604 (was £500 in 2017/18) for all properties. If your property is within the second selective licensing scheme that started on 1 October 2018, the council did offer a 50% discount for all applications submitted up until 31 December 2018. You can view the latest fees on the council’s website, with mandatory HMO licensing fees here, additional licensing fees here and selective licensing fees here. The fees we have listed were correct as of 1 January 2019 but could be subject to change in the future. There is an online application process for mandatory HMO, additional and selective licences and you can find out more information on the council’s website. Yes, Redbridge Council have published HMO standards that can be downloaded from the council’s website. In December 2014, Redbridge Council had licensed 45 HMOs. By December 2015 there were 76 licensed HMOs and by December 2016, that number had increased again to 116, an increase of 40 in the last year. According to the council’s website, as of September 2018, there were 179 mandatory HMO licences and 86 additional licences, although that figure does seem very low, so we have contacted the council to check if these figures are correct. We do not yet have any information on the number of selective licences that have been approved. The council keeps a public register of licensed properties that is regularly updated and can be searched using a postcode search facility on the council’s website. Yes, with the roll out of new additional and selective licensing schemes, there are likely to be many more properties that need licensing. The council estimate there are between 6,000 and 10,000 Houses in Multiple Occupation that need licensing plus a further 20,000 private rented homes in the two selective licensing areas. If you are one of those landlords that needs a licence, it is important that you act now to avoid the consequences. Yes, Redbridge Council took nineteen housing prosecutions over the three-year period April 2011 to March 2014, a further ten in 2014/15 and one in 2015/16, so an average of six housing prosecutions a year. We understand they are currently working of a further set of prosecutions. This is well above average when compared to other London Boroughs. They really are serious when it comes to enforcement! Redbridge Council have obtained one Rent Repayment Order from the landlord of an unlicensed HMO in the five years from April 2011 to March 2016. A First-tier Tribunal approved the Order in July 2014 and the landlord was ordered to repay £6,562.26. Whilst we don’t have any figures for the NLA or RLA schemes, we have got information about the London Landlord Accreditation Scheme that is supported by all the London Boroughs. In January 2016, they told us there were 575 accredited landlords in Redbridge, which was above average when compared to all the London boroughs. By January 2018, that figure had increased to 881, which is well above average when compared to all the London boroughs. To find out more about becoming accredited, you can visit the London Landlord Accreditation Scheme website here. Not at the moment - there are already four licensing schemes in place! 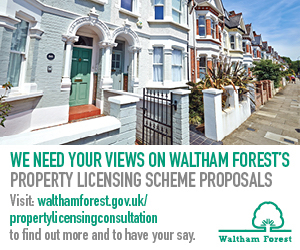 From 24 November 2014 to 25 February 2015, Redbridge Council consulted on proposals to introduce borough wide selective and additional licensing. This would have extended licensing to almost every private rented property in the borough – over 20,000 properties. The council received over 1,700 responses. A property licensing report was then presented to councillors for discussion at the Neighbourhoods and Communities Service Committee Meeting on 3 June 2015. The report was subsequently approved at a Cabinet meeting on 9 June 2015. The council decided to implement borough-wide selective and additional licensing. Unfortunately for the council, the law had changed and so they needed to get permission from the Secretary of State to implement the borough wide selective licensing scheme. They asked the government for approval but their application was refused in December 2015. The government did not think there was enough evidence to justify a borough wide selective licensing scheme. In the meantime, Redbridge Council consulted on two further selective licensing scheme proposals from 25 July to 16 October 2016 – one covering just two wards and the other covering an additional 12 wards. On 13 December 2016, the council’s Cabinet approved a selective licensing scheme in Clementswood and Valentines wards that came into force on 13 July 2017 and borough wide additional licensing was introduced on 13 April 2017. On 31 May 2018, the council announced they had been given government approval to introduce a second selective licensing scheme covering another 12 wards, which came into force on 1 October 2018. There’s clearly a lot going on at Redbridge so we will monitor the situation closely and keep you posted. For all the latest developments, you can sign-up to our free newsletter. On 3 December 2018, Redbridge Council made a non-immediate HMO Article 4 Direction that will apply borough wide. You can find a copy in the ‘More Information’ box on the top right of this page. The council are consulting on the HMO Article 4 Direction for 8 weeks from 6 December 2018 to 31 January 2019 and comments can be sent to Planning Policy Team, Redbridge Council, Front Office, Floor 11, 255-259 Lynton House, High Road, Ilford, Essex IG1 1NN or email dpd@redbridge.gov.uk. The Direction is expected to come into force on 6 December 2019. The changes are not retrospective and so until that date, properties can still be converted under permitted development rules. More information is available on the council’s website. Mandatory HMO and additional licensing applies borough wide. One selective licensing scheme applies to part of the borough and a second selective licensing scheme was introduced on 1 October 2018.